From Friday 8th March to Sunday 10th March 2019, Verona (Italy) there will be the first edition of the Women Motors Bootcamp. 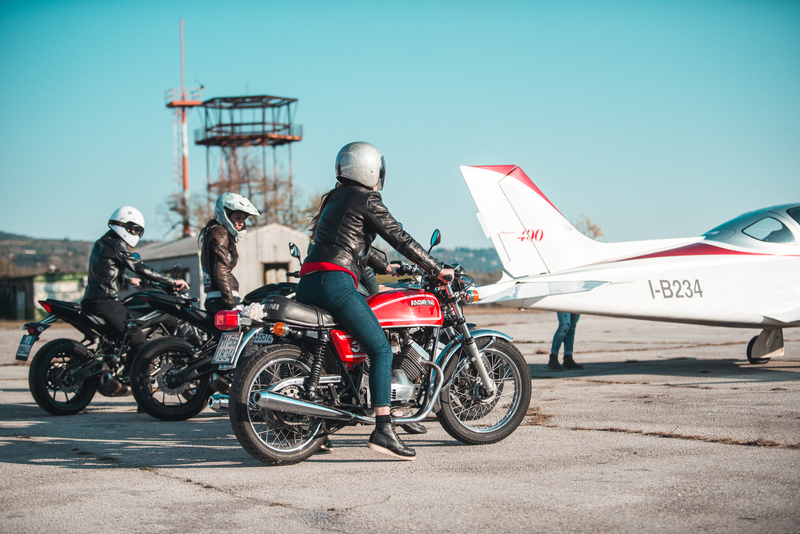 A Female only event that involves all participants and from simple spectators makes them Protagonists through Courses and training activities related to the world of two wheels and Airplanes. An unusual weekend, a female only time, the perfect occasion to experiment, share with other women passions, doubts, weaknesses and knowledge of the motorcycle and airplanes. The spirit of WMB is to encourage girls to try new things, to overcome their limits, to destroy barriers and prejudices. A time that is only for us women, to be able to find ourselves, to learn and be entertained without the fear of being judged, corrected, teased. An area to which only subscribed women will have access without any male influence or stress from the outside world. From an idea of Domitilla Quadrelli, WMB is born in 2018, starting from the concept of an American style bootcamp. An Event for Rookies and for Expert Riders as well. We wanted to go further test rides and give them an interesting content that girls can take home as a baggage of experience and knowledge of the bike and the whole world of two wheels and airplanes. With 40% of the bootcamp participants ranging from 18 to 25 years old, we have a very young audience of girls and therefore more inclined to social sharing. A unique and symbolic Location, a place that marked history in the manufacture of airships during World War II, then turned into into a military base and more recently converted as tourist airport. An area of 29,000 square meters, a village where girls can meet, talk, discuss and share their passion for engines, motorcycles, airplanes.